Dr Rolf Erdmann combines a deep love of science with a spirit of adventure, giving him a desire to contribute to the exploration of the lunar environment – both robotically and with a human presence. Rolf received his PhD (Dr rer nat) from the Aachen University of Technology (RWTH) in 1998. Since the early nineties he has worked on several DLR and ESA projects for his Diploma and Ph.D. theses, and completed major studies in the fields of life sciences and physics. Rolf continued working at DLR Köln-Porz as a post-doctoral fellow. After training at the Geilenkirchen NATO Airbase in Germany, Rolf went on to complete his FAA Aircraft Mechanic Licence in Oklahoma City. Rolf then returned to his space roots and worked in the Mission Operations Directorate at NASA’s Johnson Space Center, Houston. He spent 11 years (2000-2011) working for the United Space Alliance as a NASA-certified EVA Systems Engineer, EVA Flight Controller, EVA Crew Instructor and EVA Liaison to Russia. He was also head of NASA’s EVA Houston Support Group from 2007 through 2011, coordinating spacewalks between NASA, Russia and other international partners on the International Space Station (ISS). Rolf’s wide-ranging skillset (and fluency in Russian) saw him working on console in Mission Control in both Houston and Korolev, Russia for 30 ISS expeditions, 19 space shuttle missions, and over 100 spacewalks (EVAs). Rolf is an asset to the PTScientists team, bringing an unrivalled knowledge of mission operations and systems engineering. Since 2004, Rolf has contributed systems engineering expertise to various NASA “Return to the Moon” mission architectures, including the Constellation Space Suit System (CSSS), the MPCV Orion and other projects, including collecting “Apollo Lessons Learned”. After more than a decade in the US, Rolf relocated back to Europe with his wife and twins and became CEO/CTO of Dragon-Rock Space Exploration. He joined PTScientists in Berlin in 2015 as a contractor, serving as Head of Mission Operations. In 2017 he became a full-time employee of PTScientists, and has taken on additional responsibilities, including becoming CEO for PTS LLC in Houston. Very content with helping others with their exploration and thus participating in their experiences vicariously, Rolf is a passionate explorer himself, and a licensed scuba diver and private pilot. He has logged several hundred hours in the air, flying in anything from taildraggers to high performance jet aircraft as pilot-in-command, co-pilot or crew member. Rolf almost made it to space himself thanks to a commercially sponsored project where he was selected from 10,000 applicants to train as a cosmonaut candidate in Star City, for a flight to the MIR Space Station. These plans were foiled by the collision of a Russian resupply ship Progress with Mir in 1997. 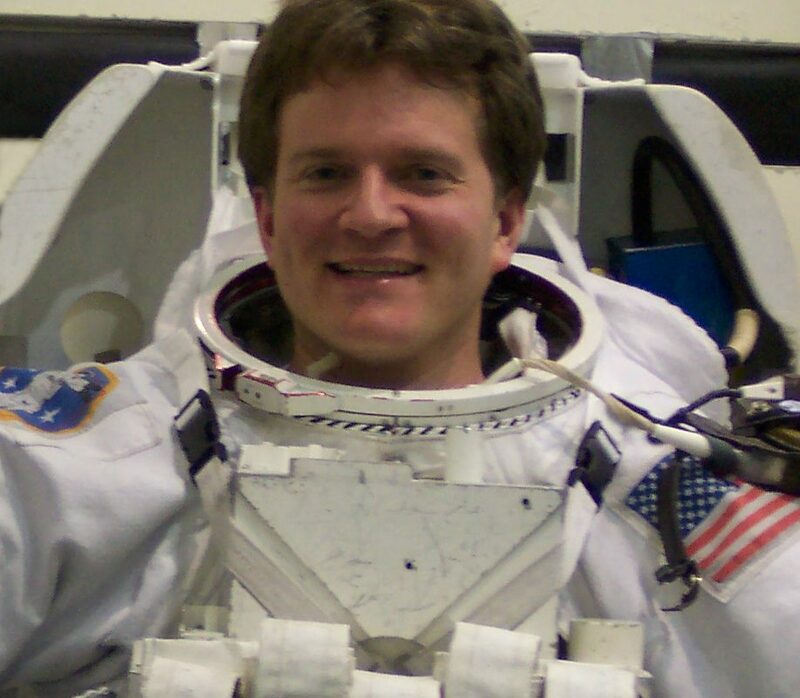 Undeterred, Rolf applied to be a NASA astronaut and made it through the tough interview process and medical testing, and onto NASA’s shortlist for the 2004 astronaut selection. Rolf brings his wealth of experience in astronaut selection and crew training, as well as lunar and human exploration to the team, with a vision of one day being able to use his decades of experience to support commercial customers and space agencies on their Missions to the Moon.